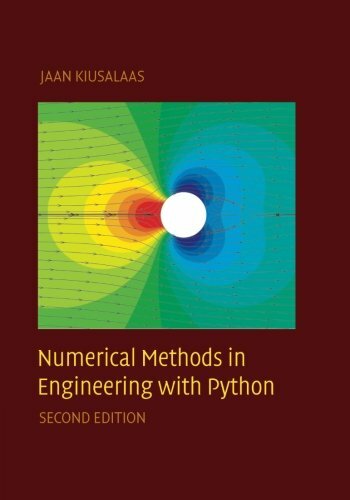 Numerical Methods in Engineering with Python, 2nd Edition is a text for engineering students and a reference for practicing engineers, especially those who wish to explore Python. This new edition features 18 additional exercises and the addition of rational function interpolation. Brent's method of root finding was replaced by Ridder's method, and the Fletcher-Reeves method of optimization was dropped in favor of the downhill simplex method. Each numerical method is explained in detail, and its shortcomings are pointed out. The examples that follow individual topics fall into two categories: hand computations that illustrate the inner workings of the method and small programs that show how the computer code is utilized in solving a problem. This second edition also includes more robust computer code with each method, which is available on the book Web site. This code is made simple and easy to understand by avoiding complex bookkeeping schemes, while maintaining the essential features of the method.